When you ask a woman what is most precious to her in the world, she will answer with two things: wine first, and spa days second. We can't help it, they are what we love and cherish dearly - it's just in our DNA. So when we heard there's a hotel that combines our two biggest passions, we packed our bags immediately. 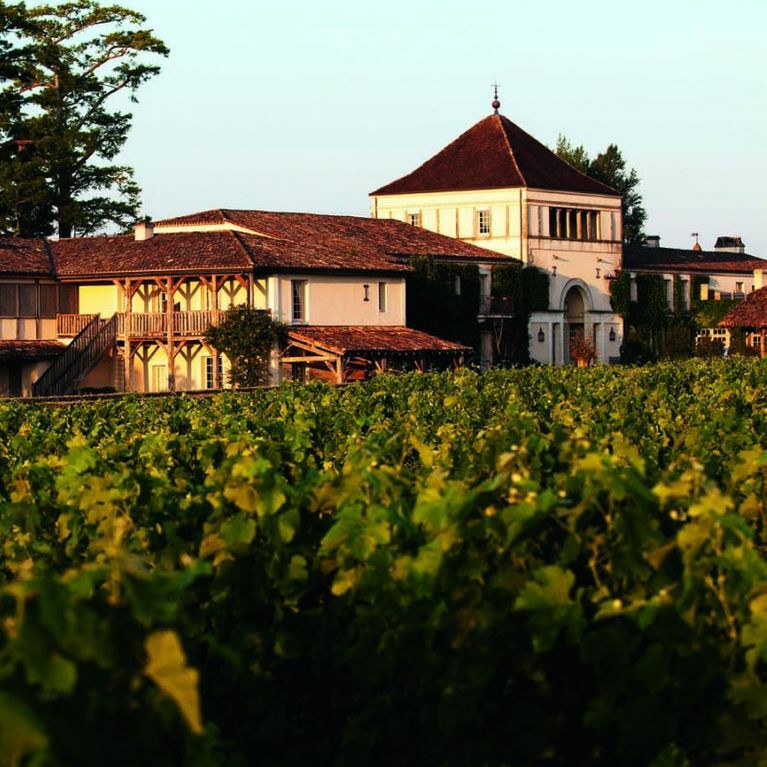 Luxury French hotel Les Sources de Caudalie is located in Bordeaux-Martillac and is surrounded by the Château Smith Haut Lafitte vineyards - so it only makes sense that these two join forces to make some sort of vino/facial mash-up. And while we're sure you'll get a glass or two when chilling in the spa, Caudalie's "Vinotherapie Spa" has a whole menu of treatments that actually incorporate wine into the products they use. From a Honey & Wine Wrap (sounds delicious, right?) to a Vinosource facial, almost all of the treatments offered by the hotel involve grapes in some way. There's even a Fresh Grape hand or foot treatment which involves relaxing in a room filled with the "delicious scent of Grape Blossom" as your nails are filed before they're buffed with actual grapes. We know - we can't believe this is a real place and not just a figment of our booze-filled imagination, either. But before you start raising a glass to your next holiday destination, you should know you're going to need major dosh to stay here - a two night stay can cost around €1,840 (around £1574). Better start saving, then! ​​Introducing Pawsecco! The Fine Wine For Your Favourite Four-Legged Friend. Yes, Really. A Glass Of Wine Just As Calorific As a Doughnut? Do Tequila Plants Really Hold The Key To Strong Bones?